Once again, building on the original Lambourne dice and chart design, we are quietly excited about our latest conversion. From an early stage it was decided that individual tracks would be built into the program, as much of the action in this sport is heavily influenced by location. 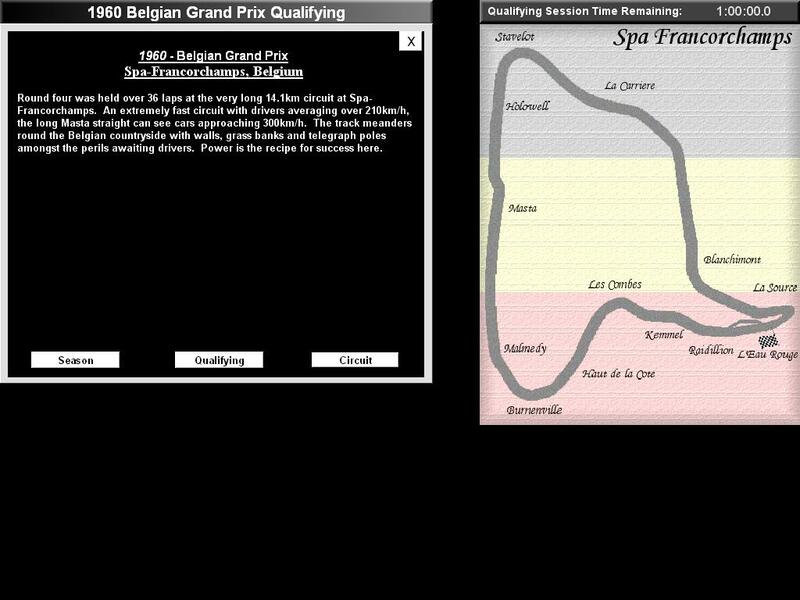 Each track has been recreated with sufficient accuracy to enable the characteristics of the track to shine through (overtaking opportunities, run-off areas, danger spots, long/short pit lanes, speeds, lap times, attrition etc, corner and straight characteristics and names). 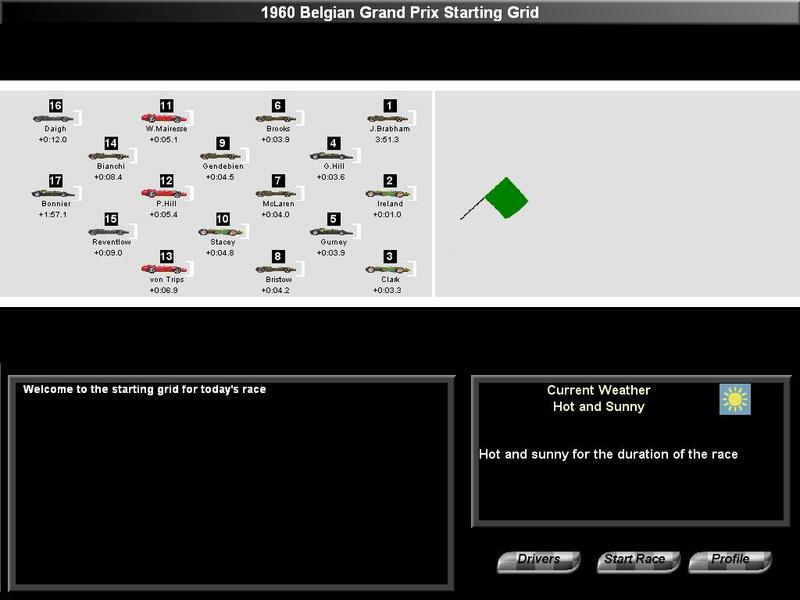 A graphical representation of the race will be displayed allowing you to have an overview of all drivers current track positions together with an ever updating race position display. You will be able to focus on a specific driver, watching time gaps go up and down in terms of both race and track positions. 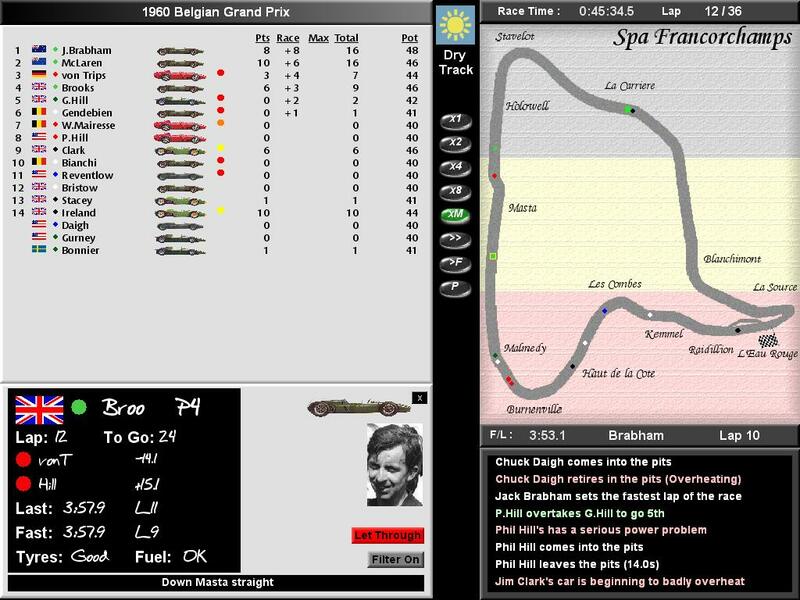 Driver modes, tyre selection, pit/fuel stop strategies are among the various decisions which can be made. You can elect to control all, some or none of the drivers and let the AI control the rest. 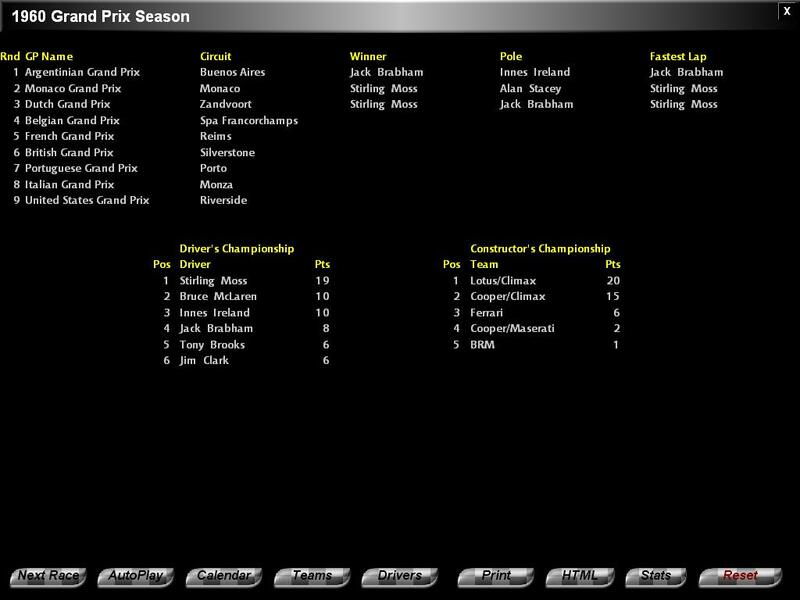 Lap times, race gaps on a lap-by-lap basis, incidents, pit stop lengths, lap charts are among the numerous stats stored by the simulation. 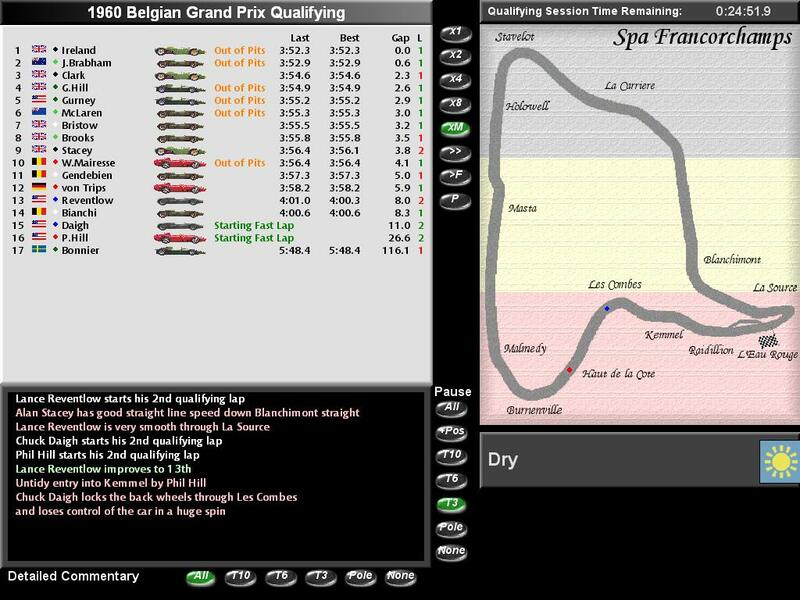 With each race being run in real-time (with options to 'fast forward') this is a simulation which will keep you extremely busy as you need to be aware of all that's going on around you to ensure the right decisions are made for your drivers. With 15 seasons included providing over 170 races, WoF1 will keep your interest through many dark winter nights.